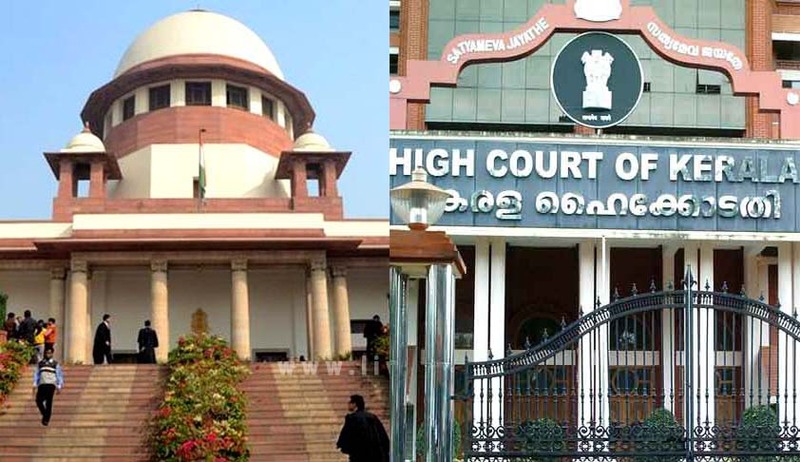 Supreme Court of India on Monday has issued notice to High Court of Kerala on a petition challenging the selection process to Kerala Higher Judicial Service (District & Sessions Judges). The bench was hearing a writ petition filed by the unsuccessful candidates against the selection process. The bench consisting of Justices Kurian Joseph and R Bhanumathi sought to know if any similar petition is pending before the Kerala High Court? If so the matter can be sent back. Venugopal, on instructions informed the court that no such case is pending in High Court and it is embarrassing to tell HC that you have violated your own provisions. K K Venugopal, Senior Advocate appeared for the petitioners submitted to the court that the selection process violated the higher judicial service rules and clauses of the Notification issued for selection. But he said even if the writ petitions are allowed, the persons likely to be affected are only Respondent Nos.9, 11 and 12, in both the petitions. Therefore, the Court has issued notice only to Respondent Nos.1, 2, 9, 11 and 12, in both the petitions, on the writ petitions as well as on the application(s) for stay. As per the Notification issued by the High Court, the selection process was consisted of written examination and viva voce and the final rank list should be prepared based on the aggregate marks scored in both. But the High Court contrary to notification, imposed a condition of 50% marks mandatory for viva voce. “From the merit list published by the Hon’ble High Court, the petitioners have been excluded from the merit list on the ground that they did not secure 50% marks in the viva voce. As stated earlier, neither the Kerala State Higher Judicial Services Special Rules, 1961 nor does the selection notification issued by the Hon’ble High Court of Kerala stipulate minimum marks for the viva voce. No addendum notification was issued regarding minimum marks for viva voce. In the absence of any prescription of marks for viva voce, either in the Special Rules or in the selection notification, it is arbitrary and illegal not to include a candidate in the merit list for the reason that he/she did not secure minimum marks in viva voce”, states the petition. The petitioners also submitted that it is impermissible to change the norms of selection after the selection process has commenced. “Moreover, the decision of the Hon’ble High Court to prescribe minimum marks for viva voce is against Shetty Commission’s recommendations, which was accepted by the Hon’ble Supreme Court in All India Judges Association case AIR 2002 SC 1752. The decision of the Hon’ble High Court to exclude the candidates who did not obtain 50% marks in the viva voce is contrary to the law declared by a three Judge Bench of the Hon’ble Supreme Court in Ramesh Kumar Vs. High Court of Delhi – 2010 (3) SCC 104”, it said. Petitioners also submitted that that in a similar circumstance, where the High Court of Delhi declined appointment to the post of District Judge on the ground that the candidate did not secure minimum marks in the interview, a three Judge Bench of the Supreme Court allowed Writ Petition filed under Article 32 of the Constitution of India and held that in the absence of any statutory requirement of securing minimum marks for interview, appointment cannot be denied – Ramesh Kumar Vs. High Court of Delhi . “In the view of the law declared by the Hon’ble Supreme Court in Ramesh Kumar’s case, the decision taken by the Hon’ble High Court to prescribe minimum marks for the viva voce is arbitrary and illegal”, states the petition.